The Pirelli P Zero Velo TT Folding Road Tyre is designed for breathtaking speeds by reducing both rolling resistance and aero drag. The Pirelli P Zero Velo TT Folding Road Tyre is the fastest & highest performing tyre in the P Zero™ Velo family. 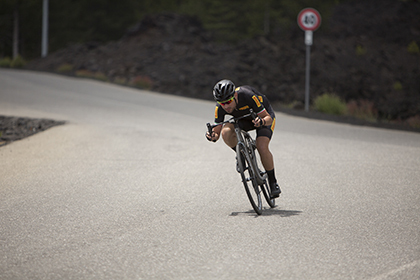 The Pirelli P Zero Velo TT Folding Road Tyre features the patented SmartNET Silica® compound providing outstanding grip allowing you to ride this clincher in the wildest conditions like never before with a TT tyre. The Pirelli P Zero Velo TT Folding Road Tyre 23c is the fastest in the range with a profile that minimizes aerodynamic drag force and provides superior handling for extreme cornering and top wet behaviour.